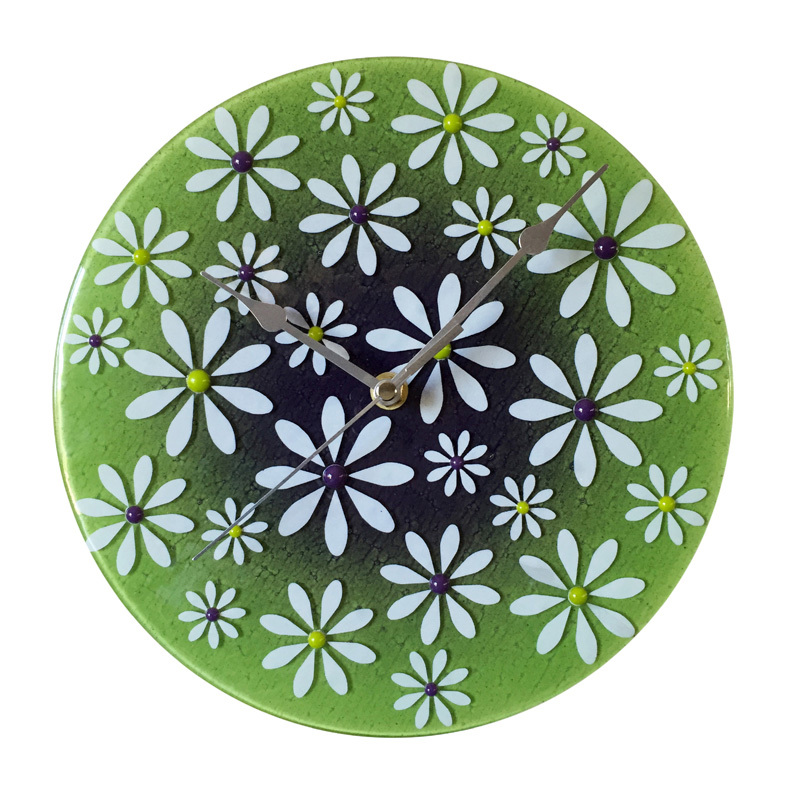 Bring a summer mood into your living space with this delightful wall clock. It is hand crafted from fused glass, making it one of a kind. Fresh and fun white flowers decorate the face. The background is striking in green with a dark black centre. The small buds in flowers are raised up, adding texture and depth. Delicate silver tear drop hands indicate the time on the numberless face. Great for an enclosed patio filled with creeping vines. Size 30cm diameter.